So, this weekend we played Crystal Palace and as I joined fellow Arsenal fans down at McShane’s in Detroit I couldn’t help feeling this was going to be just a standard win for us. Perhaps it’s because I always associate Crystal Palace as the roots of Arsenal legend Ian Wright, and really we all know they are just one of those teams that spend a few years in the Premiership then a few more back in the Championship. As I watched both teams squeeze out of the players tunnel (someone needs to provide them the funds to rebuild it to be able to take players at two abreast somehow) and sat back with my hot chocolate, I relaxed assuming the three points were already in the bag. Well, I’ve got to say Palace, overall did a great job at trying to win the game but we had two great goals, both contributions of Danny Welbeck. The first was a definite penalty which Cazorla put away nicely and then a great cross by Welbeck gave Grioud his goal on the rebound just before half time. However this game was to contain two remarkable instances – first could someone please confirm did Ozil actually try to score a goal with his head? – I think that was the first time since his signing that ball actually touched head – and more eventful, it even went in the direction of the goal. Then even more astounding only a couple of minutes later, did I see Ozil near the Arsenal back line successfully defending the ball? I really believe Ozil is a great player but are these to be two new elements to his game!!! Yet this weekend was to be filled with more bizarre ‘Arsenal friendly’ events. First of all whilst we sat watching the Arsenal game we had the pleasure of being able to see some of the other games going on. Off course there was the usual depression whilst we kept tabs on the Chelski game, and the elation when Burnley pulled one back as the game neared the end. However this was only half the story. To get the full excitement of the Chelsksi performance I recommend any Arsenal fan simply watch the Mourinho post match interview. This man simply feeds the hunger of any non-Chelski fan. Chelski are 5 points clear at the top of the table yet he still bangs on about how everyone has a vendetta against his team. Better still I just loved to hear him rattle on about how hard done by he is, “It’s all about the incidents in minute 30, minute 33, minute 43, minute 69... I will not talk about this...just go to these minutes and you know the story of the game...I can’t go into these minutes as I’ll be fined some more….” He just can’t stop whining on about it - Oh is this music to my ears? What’s better that Chelski failing to win a game than having no less than four controversial events that should have won it for them – I’ll take that any day. Talking of QPR can’t go without mentioning that Barton gets another red card. He now tops the league of most red cards in a professional career (nine) and tops this season with 9 cards. He makes Vinnie Jones, Luis ‘the biter’ Suarez, Eric Cantona and Mario Balotelli all look tame! Now mix that with the fact that Barcelona lost 1-0 at home – To me Barcelona are the Spanish Chelski!!! The only down side to the whole weekends results was Sp*rs managing to pull two goals back against West Ham in the last eight minutes including Harry Kane (We all know he’s really a Gooner (reference him wearing a Freddie Ljungberg hair cut in the year of the invincibles at the age of 10)) scoring with the last kick of the game. Remember children, whatever you do as a child, stays with you for the rest of your life. So, to sum up, Arsenal win 2-1. (Well at least normality was resumed when we conceded in the last minute, but scraped through a great win). Ozil heads a ball. Ozil defends a ball. 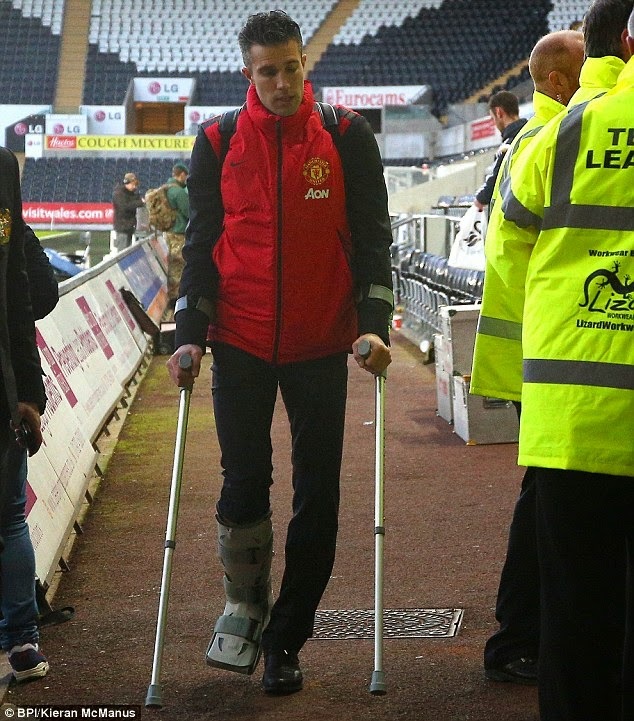 Man u lose at Swansea, RVP in crutches. Mourinho – well Mourinho was just Mourinho. Chelski draw. Barton red card. Barca lose at home. Arsenal back up to third place. What more can I want.